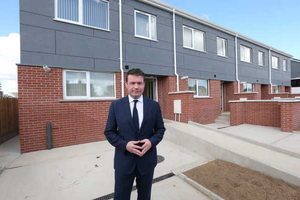 The Department of Housing released figures showing there were 5,869 adults, 1,753 families and 3,829 children – a total of 9,698 individuals – staying in State-funded emergency accommodation in the final week of September. 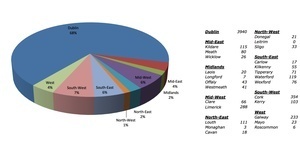 Nationally the number of persons accessing emergency accommodation increased by 171 persons (1.79%) when compared to August. 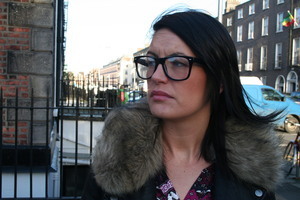 The report shows an increase of 35 adults and 136 dependants. 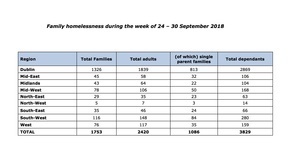 However, new data shows that for a second month in a row family presentations in Dublin are down, and the number of new families entering emergency accommodation is also down. 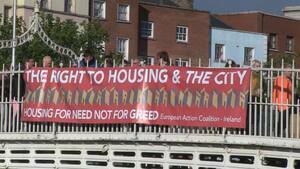 Furthermore, in Dublin in the month of September, 119 families were prevented from entering emergency accommodation, while 45 families exited emergency accommodation. 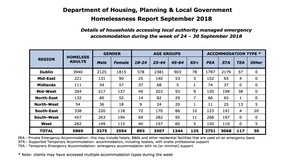 Posted in Misc and tagged Homelessness, September 2018 at 12:03 pm on October 25, 2018 by Bodger. 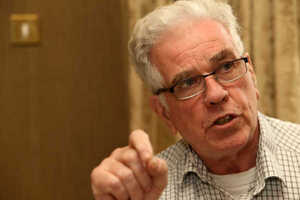 blushirt scum, how can they live with themselves..